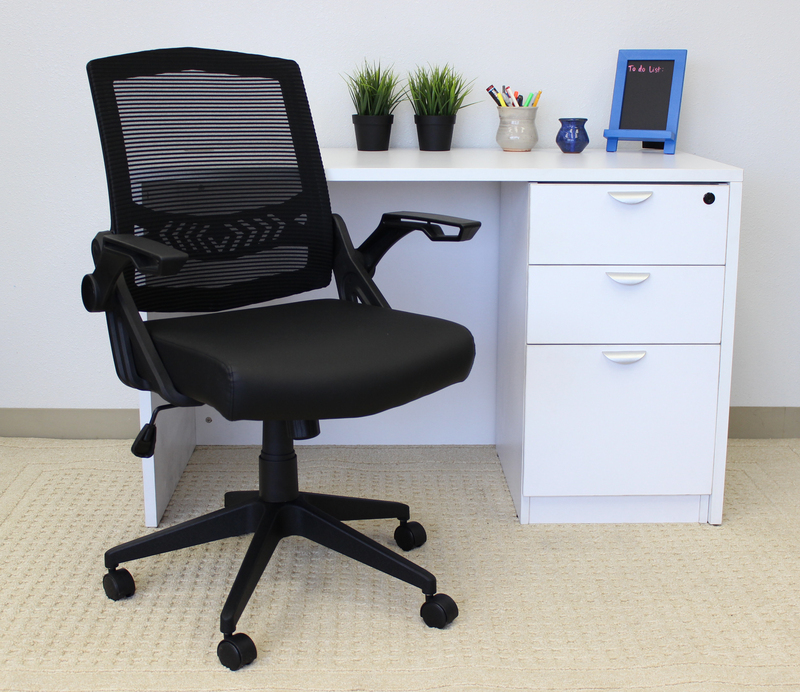 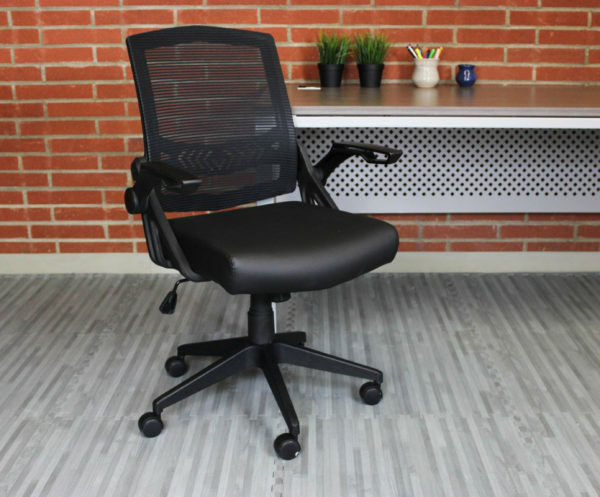 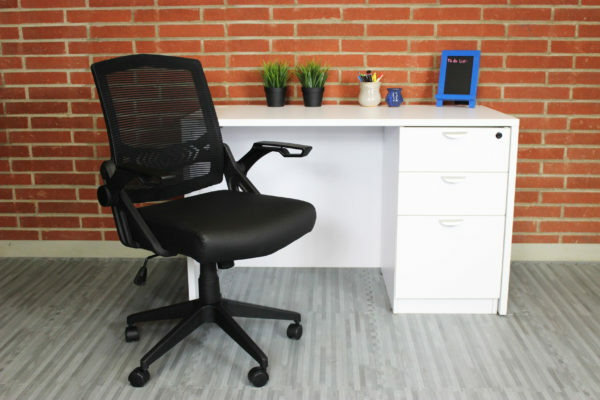 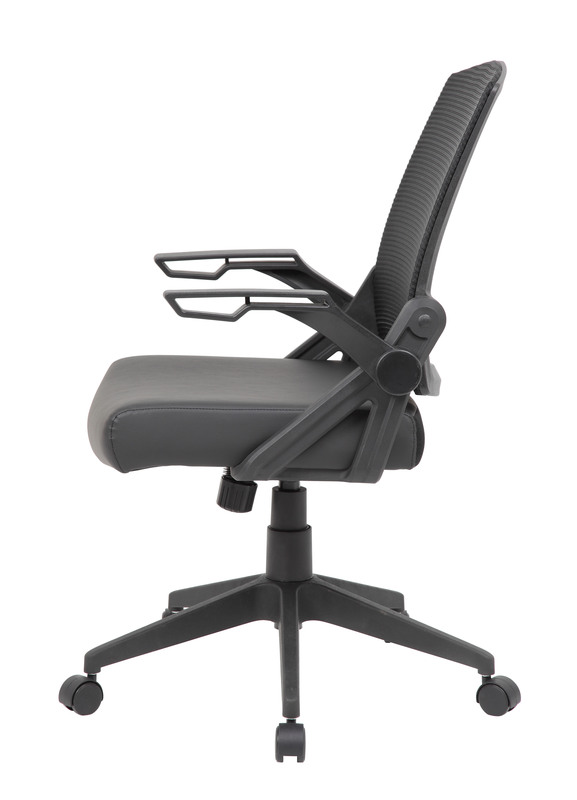 This task chair is a step ahead of the rest with the adjustable, flip arm design and the pneumatic gas lift that allows for easy height adjustments. 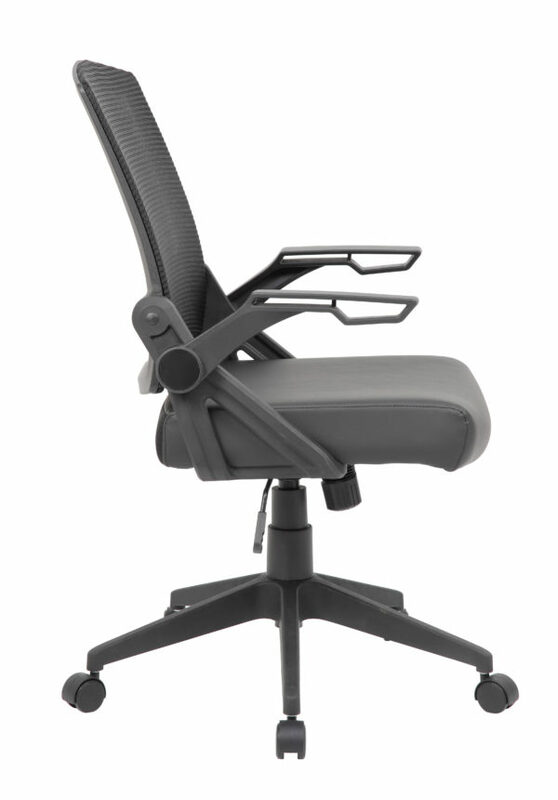 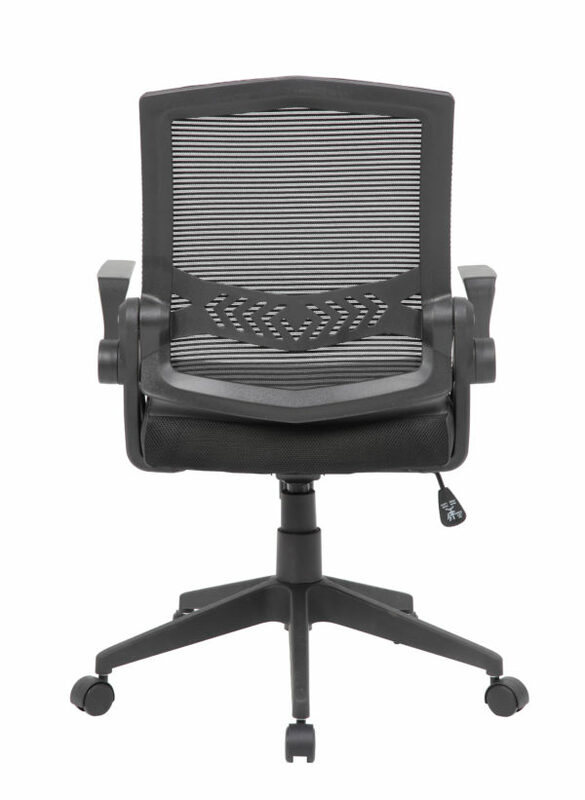 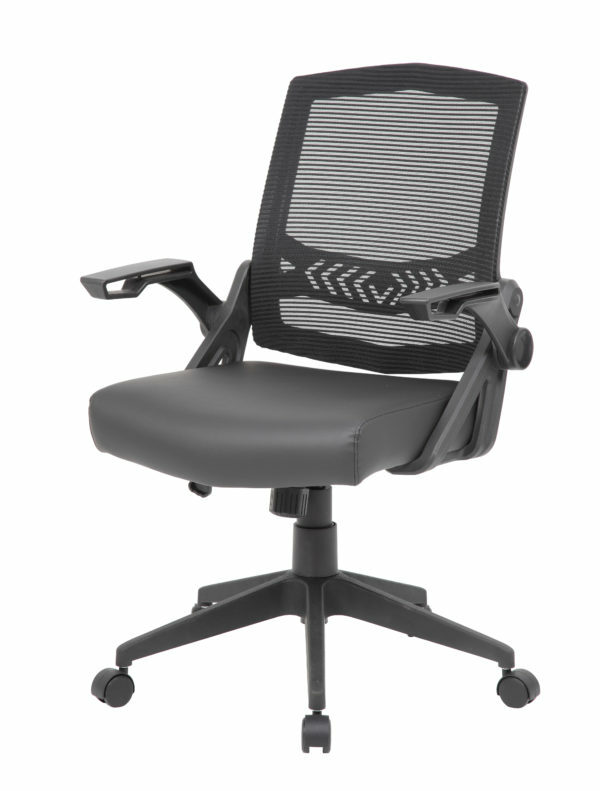 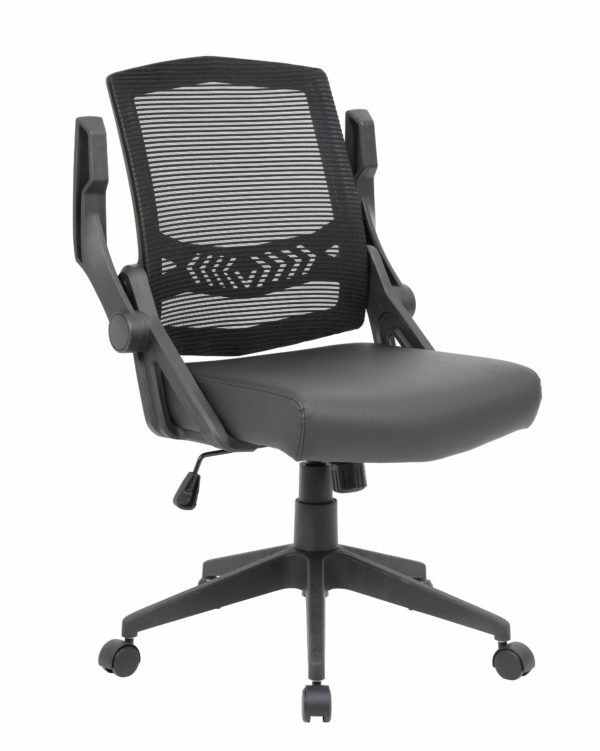 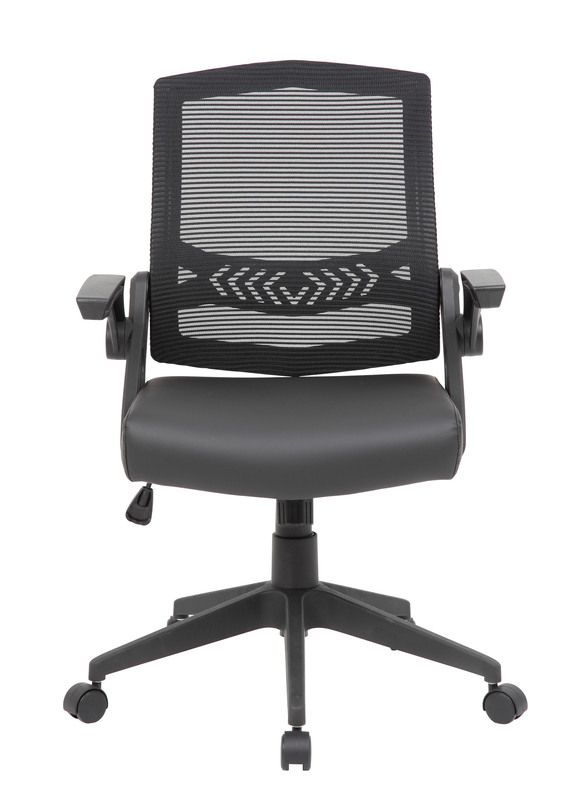 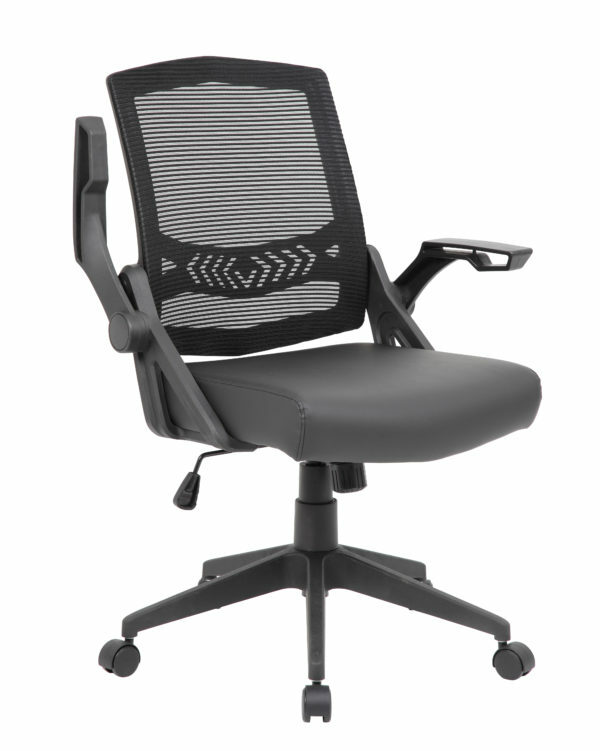 Comfort reigns supreme with the mesh back design and with features such as a spring tilt mechanism, tilt tension and the upright lock. 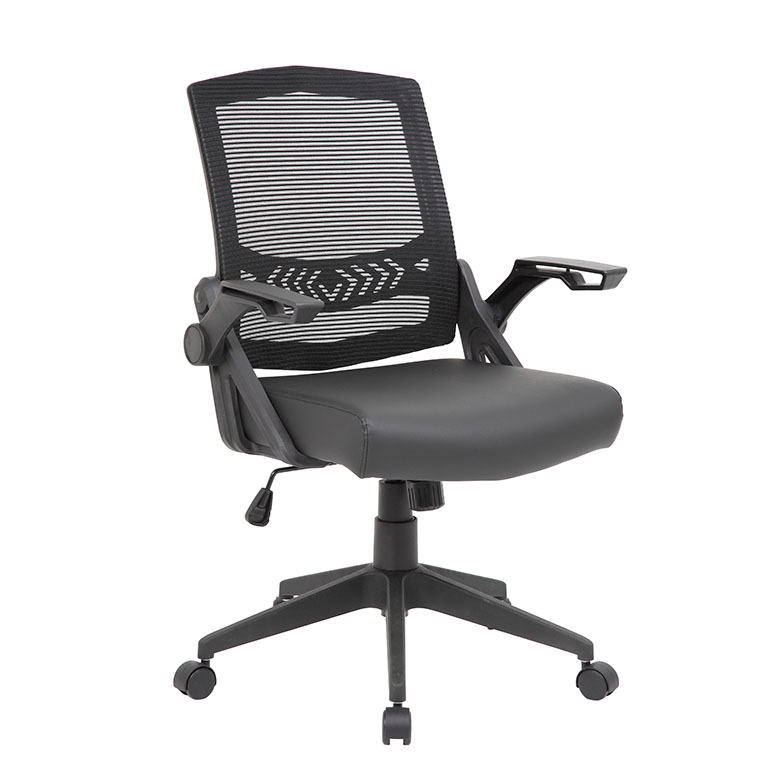 It also features a 27 inch nylon base with 2 inch nylon dual wheel castors for a smooth roll and a weight limit of 275 lbs.